A4 Have You Seen My Baby? "This Cassette is a limited edition of 1000 copies. 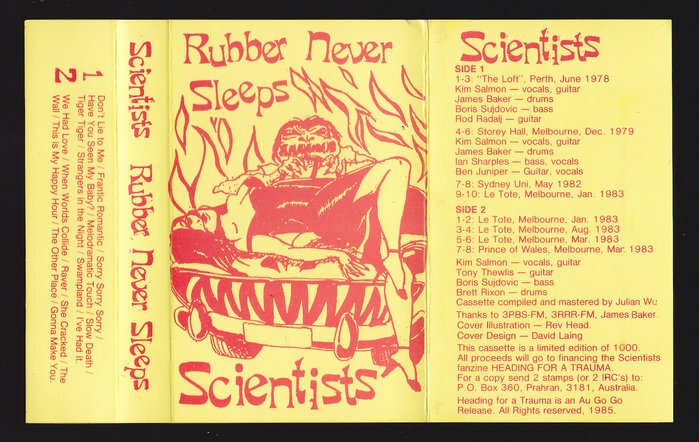 All proceeds will go to financing the Scientists fanzine: 'Heading For A Trauma' Thanks to 3PBS-FM, 3RRR-Fm, James Baker."